If you fancy something a bit special, then you can’t go wrong with a dog from one of our small white dog breeds list. Although we would never recommend choosing a dog on looks alone, there is something distinctive about an all white dog. Most dogs have a variety of colour combinations. There are very few dogs that only have a pure white coat. We’ve focused on these few; but if you widen your search it will open up a whole range of options including popular breeds like the Poodle that are available in a wider range of shades. The Maltese is one of the most ancient dog breeds in the world. Records of them date back over 8000 years. Despite the Maltese name there isn’t any evidence that it originated from the island. But as Malta was a trading hub it is thought that the breed made its way to other parts of the world from there. 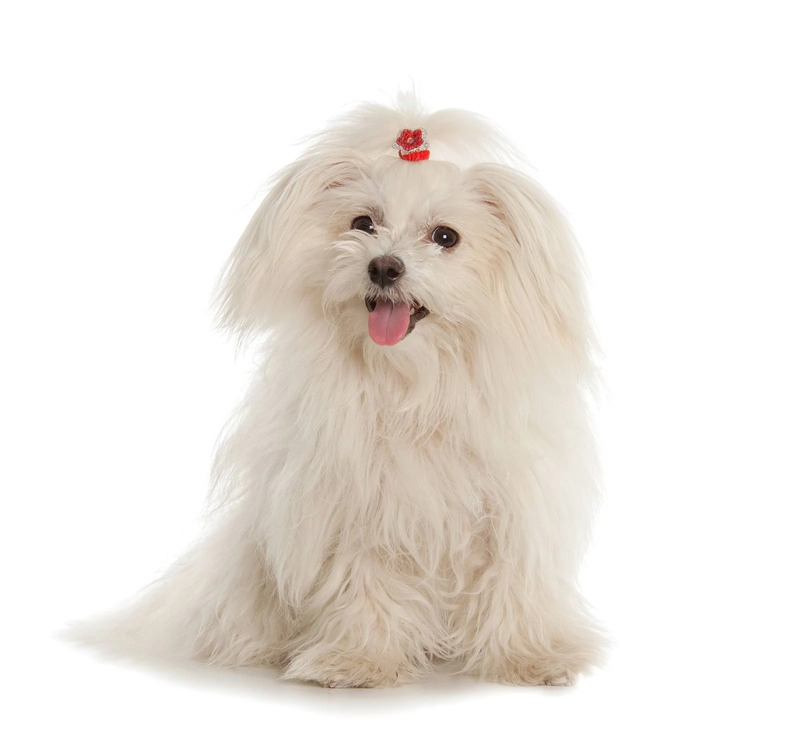 The Maltese is classified as a toy breed meaning that it is essentially a lapdog. Although it would be happy to spend most of its time cuddled up to you it does need up to 30 minutes of exercise a day. The Maltese has long silky hair with no undercoat. In order to keep the coat looking its best, it will need to be brushed every day. Despite the Maltese’s long hair, they don’t shed much. 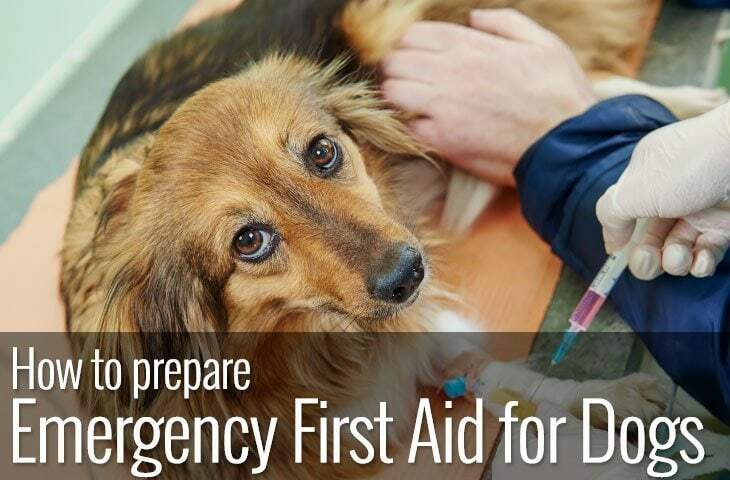 With this in mind, the Maltese can be a good choice for allergy sufferers who don’t mind spending time grooming their dog every day. What’s more, they are gentle, affectionate, sweet and playful. Standing only about 8-10 inches tall and with a weight of 6-9lbs, they are an easy choice for apartment living or people living in a small space. If you fall in love with a Maltese you can expect to share your life with one for 12-15 years. Originating from the Mediterranean and also known as the ‘Tenerife Dog’ the Bichon Frise was taken to France in the fourteenth century. Bichon Frise actually means curly lap dog in French, so if you want a lapdog then you’re in the right place. Despite its name, the Bichon is a high energy dog that is extremely smart. So a minimum of 30 minutes exercise a day would is needed to keep a Bichon happy. Additionally, as Bichon Frise are an intelligent breed of dog, be prepared to keep their minds as well as her body fit. 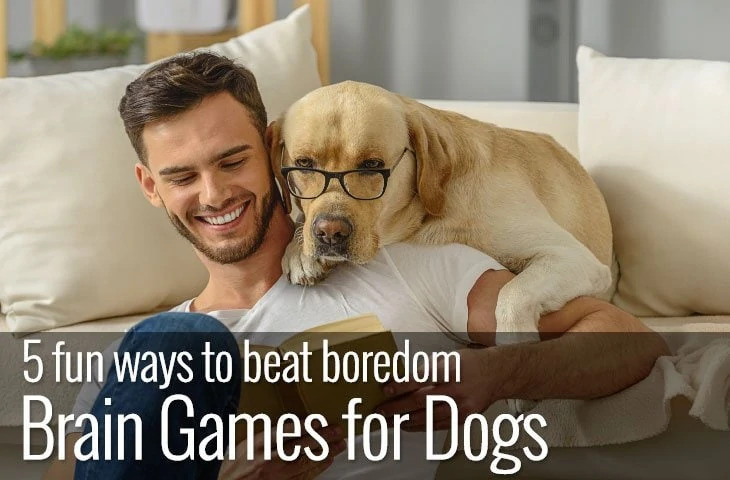 A bored Bichon will not make for a happy dog or home. The Bichon is classified as a toy breed by the Kennel club in the UK and a non sporting breed by the Kennel Club in the USA. Bichon Frise have a curly dense coat. It comprises of a soft undercoat and an outer coat that is more coarse. 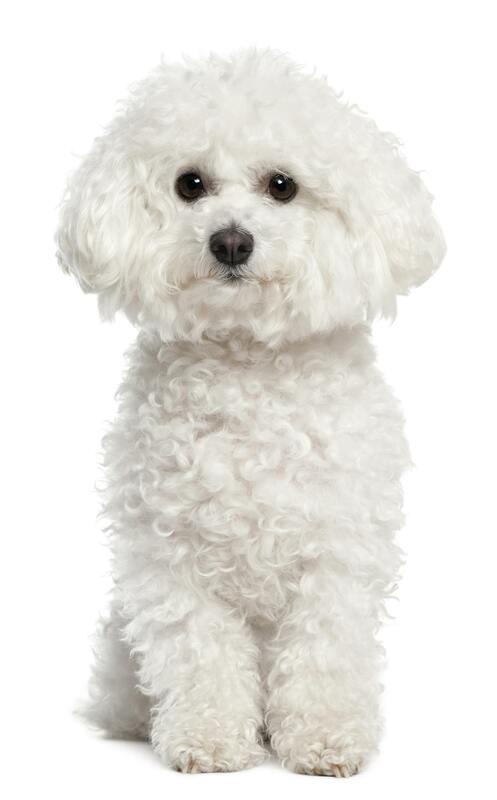 Classed as a non shedding breed, Bichon are great for allergy sufferers but like the Maltese above, also need daily brushing to prevent matting. What’s more, regular trips to the groomers approximately every four to eight weeks are required to keep the coat in peak condition. Originating from Scotland, the West Highland terrier can be traced back to 15th century. Selectively bred to maintain a pure white coat they were recognised as a unique breed in 1904 by the Kennel Club in the UK. The West highland terrier descends from ancestors that were bred to hunt both above and below ground. In fact, they were bred to be brave and tough, hunting far larger animals than themselves. Westies are willing to please but need a fair bit of both physical and mental exercise to keep them happy. Luckily Westies are always up for a game and are easy to train so there is always plenty of opportunity to (try) to tire them out. West Highland terriers have a thick, double coat and feathering around their legs and stomachs. They need regular daily grooming to keep their coats looking good and prevent mats from forming. Ideally having a professional trim twice or three times a year. 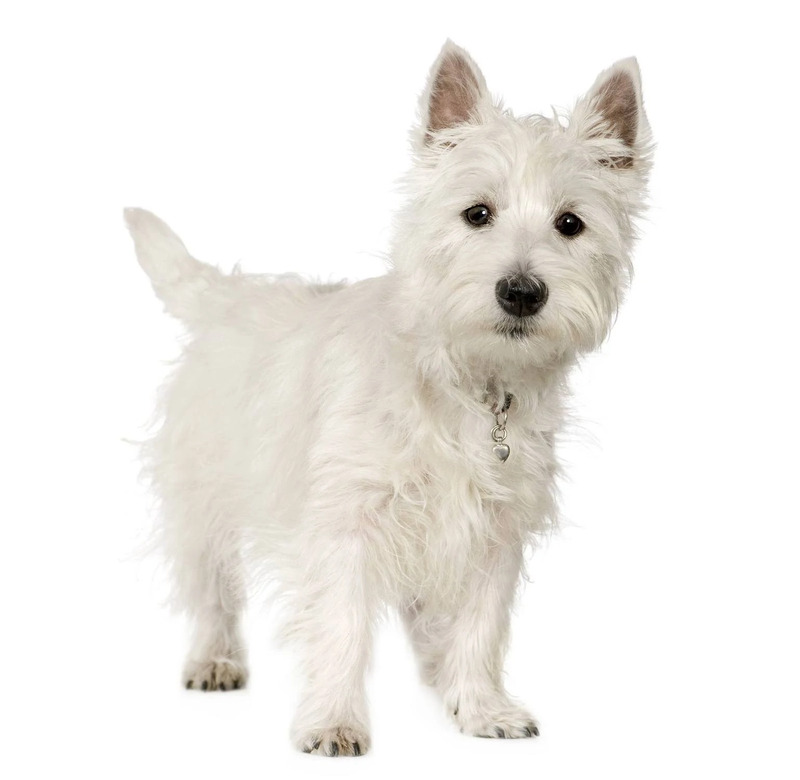 Outgoing, cheerful and affectionate West Highland terriers are tough and intelligent with a cheeky streak. If you are looking for a companion that is energetic, loyal and full of fun you can look forward to sharing 12-16 years with a Westie. Originally descended from the Samoyed, the Japanese Spitz was introduced to Japan early in the twentieth century where they were specifically bred to reduce their size. It wasn’t until 1970 that they made their way over to the UK via Sweden where it had already proved to be a popular breed. The Japanese Spitz is classified as a utility breed. 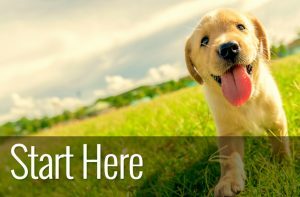 The utility breed classification includes some of the oldest dog breeds in the world. 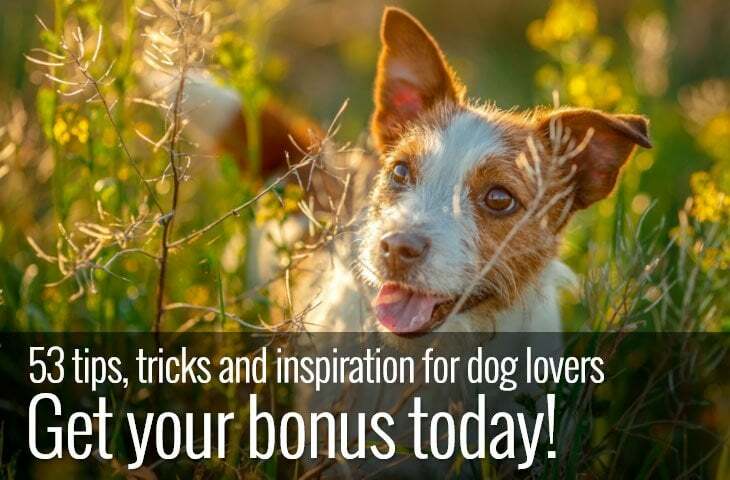 It is a very varied group of breeds that include dogs that are specifically bred for a certain purpose that isn’t included in the sporting or working category. 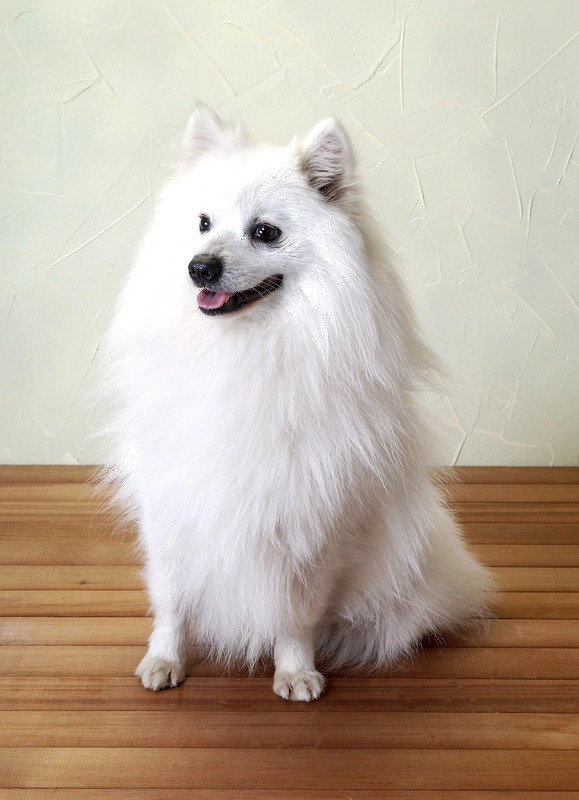 The Japanese Spitz has a medium length, fluffy double coat (shall I say bath time again?) that will need regular grooming. They would also benefit from seeing a professional groomer several times a year. Lively, playful, affectionate and alert. The Japanese Spitz is also nimble and light. What’s more, they are un-demanding and do well in family environments. They need moderate exercise, around an hour a day to be happy. If you think that the Japanese Spitz is the right dog for you then you can look forward to 12-15 years of quality time. 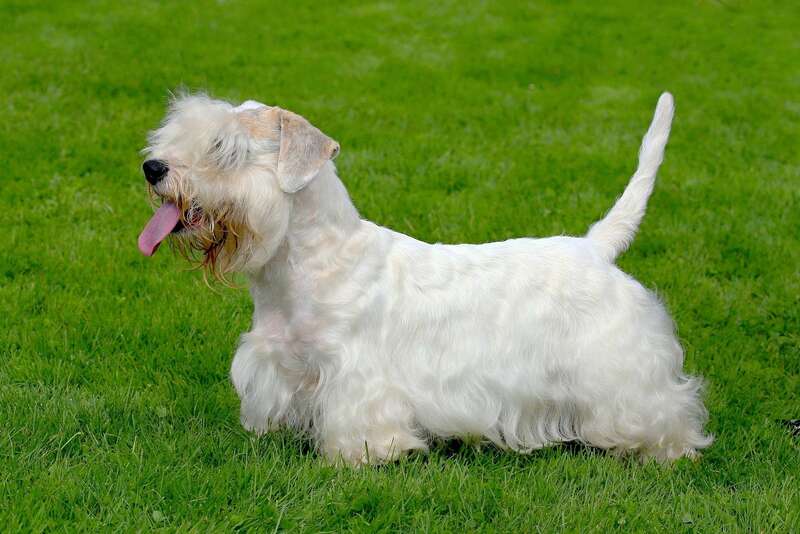 The Sealyham Terrier is a rare breed with a relatively short history. Captain John Edwards began to develop the breed in 1850 on the Sealyham Estate in Wales. Wanting to create the ultimate terrier to hunt badger, fox and otter, Edwards cultivated the Sealyham Terrier although the originating breeds are unknown. Although not quite as feisty as some other terriers, they do need a minimum of an hour’s exercise a day to keep them happy. A secure, fenced area is recommended due to their high prey drive. The Sealy, as it is also known, has a wiry, long double coat that will need daily grooming. As they don’t shed much it is essential that the coat is kept well brushed to avoid matting. Additionally, their beards need special attention in order to keep them free of food debris and dirt. Their coat will also need to be stripped or clipped several times a year. The Sealyham Terrier is fearless, calm and cheerful. If you feel that she is the dog for you then you can expect to have an adaptable, independent and lively dog for 10 years plus. Small white dog breeds, what’s the best choice for you? If you have set your heart on a white dog, then do make sure you research the breed thoroughly. Despite looking like innocent puffs of fluff, some of these dogs were bred to do some pretty tough jobs. If you want a lapdog then choose wisely, a terrier might not be the way to go. If you aren’t keen on spending a lot of time grooming your dog then step away from white fur. I may have mentioned it before but it’s worth saying again: you may find yourself spending a lot of time washing your small white dog in the bath! There are lots of breeds that come in a variety of colours, including white. 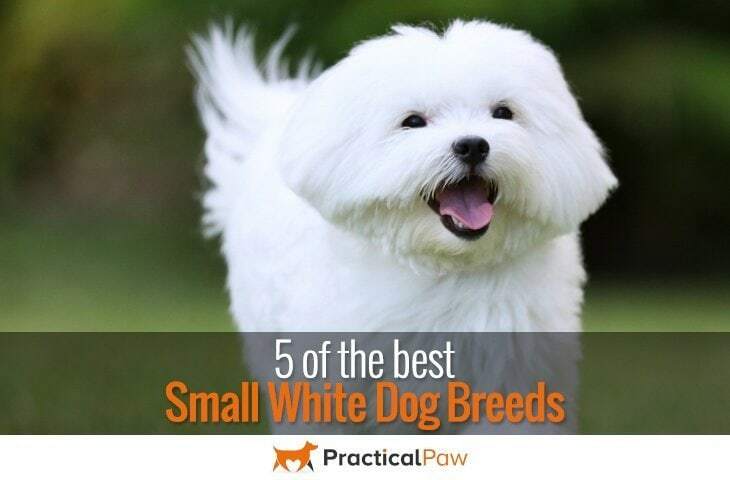 We have only given you a selection of those small white dog breeds that are well known for being white. But if you can’t find what you are looking for here then widen your search and you will find plenty more options.